Sean O’Connor is studying as a Seminarian at Mount St. Mary’s Seminary for future service to the Diocese of Colorado Springs. While a student at Texas A&M University, Red, White and Bike came to do a presentation to the child of an alumnus from the Texas A&M Corps of Cadets. From that moment he began helping out by coordinating volunteers to assist at the annual bike ride. 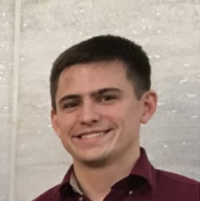 After graduation he moved to Texas to work in the Chemical industry, during which time he joined our Board, helping to update our rider registration and check-in processes for our annual bike ride. After three years in Houston he relocated to Mount St. Mary’s to begin seminarian studies. Sean will continue as Operation Red, White and Bike’s spiritual adviser.